During the hotter months, I ramble on and on about wanting to be tanned and the amount of fake tan I buy is incredible during this time. I don't use fake tan on my face as I feel like (knowing my luck) it'll be patchy and well I just don't want to risk it so to make my ghost like face look like my sunkissed body I liked to use a bronzer. 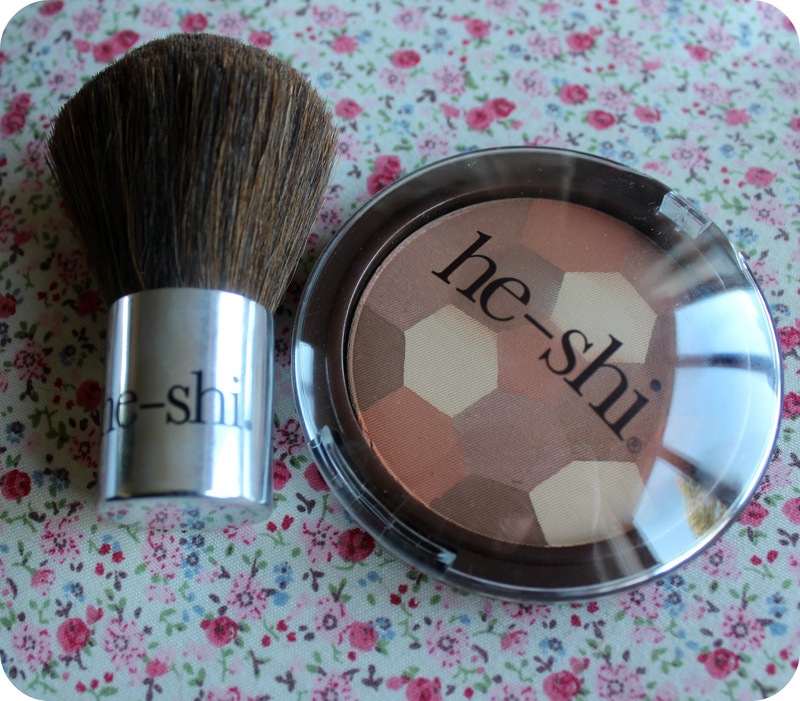 To go with the He-Shi Gradual Tanner which I adore and is my all time favourite gradual fake tan as of yet, I have the He-Shi Fusion Multi Bronze. Bronzer is one of my go to products around the Summer time, I don't use it all over my face as it will make my face matte just like a powder would do, so I just apply this bronzer to where I would natural tan more in the sun, such as my nose, the tops of my cheekbones, my temples and hairline. I find applying like this is a lot more natural looking and I'm all about keeping my make up looking natural. I really like the colour it gives to the faces it's got a natural 'brown/bronzed' colour that isn't too orange but not too dark. I like the shimmer in it too, it's not too shimmer that it glitters but it's not matte, it just has a slight shimmer which highlights your face and enhances the tanned colour. It applies beautifully, I find some bronzers can be quite patchy but this just applies really smoothly! With this, I was sent the He-Shi Bronzing Brush which I personally wouldn't recommend as it's not that soft but I mean it works however for the price I feel like you could pick up a cheaper but better bronzer. Overall the bronzer is the perfect bronzer for summer time to give that sunkissed healthy bronzed glow! Their tanning products are lovely! I've never tried it on my legs, thank you for the tip!